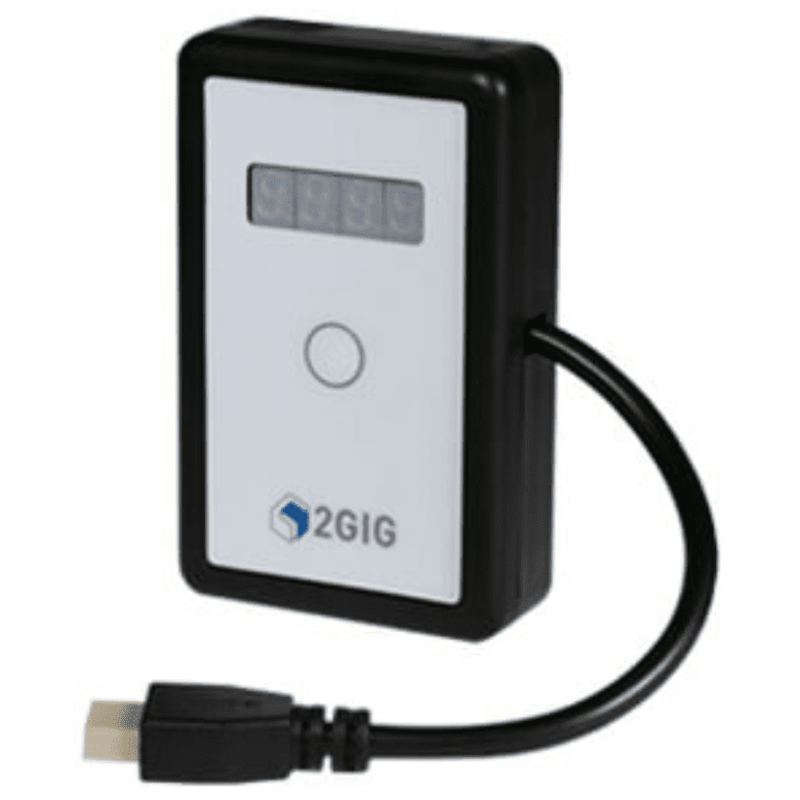 The 2GIG-UPCBL2 is a easy firmware update tool that allows DiYer's to update the firmware in the 2GIG-CP21 GC2 Go!Control panel and TS1 keypad without using a computer or incurring the OTA update charges from Alarm.com. The compact design of the The UPCBL2 easy updater fits in a toolbox and ships with firmware already installed for instant use right out of the box. It is ideal for a DiYer who is updating a system from a 2G radio on previously installed panels. Just update the panel using the Easy Updater and replace the old radio. Dimensions (W x H x D): 2.32 x 3.70 x 1.00 in.